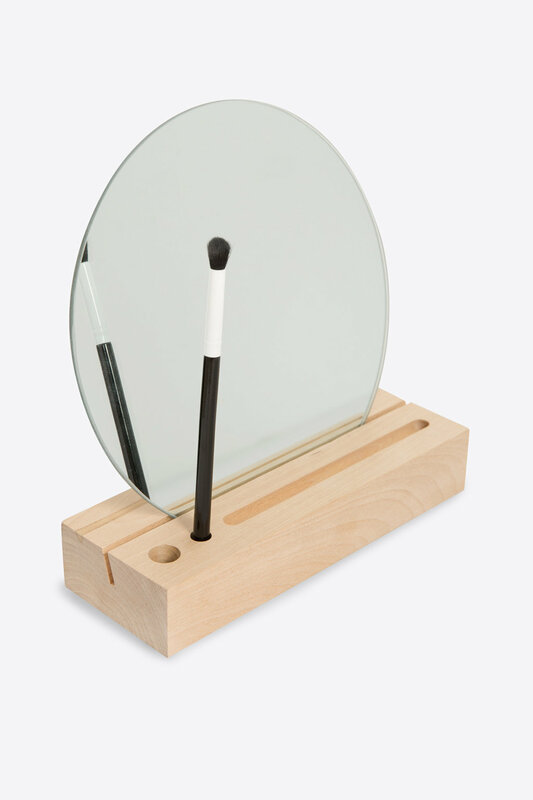 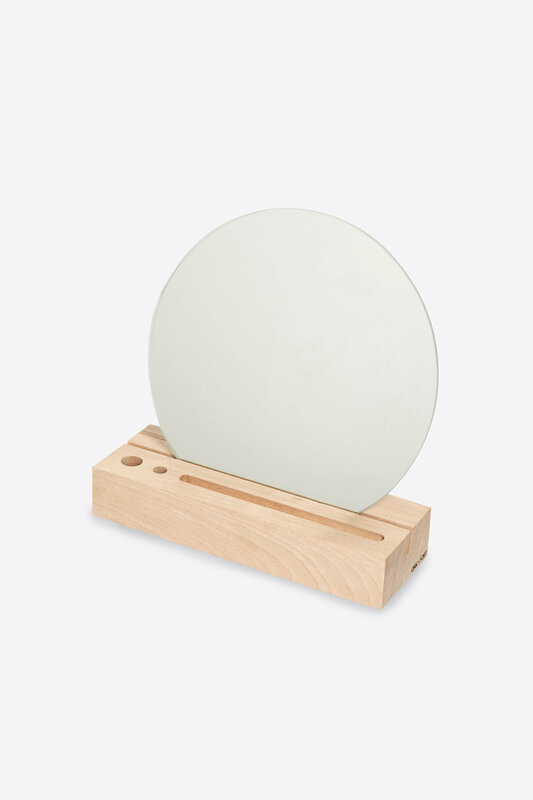 Made with a natural finish, this wooden mirror stand features a large circular mirror and a block stand designed to hold your daily necessities - from everyday jewelry pieces, lip liners to mini makeup brushes. 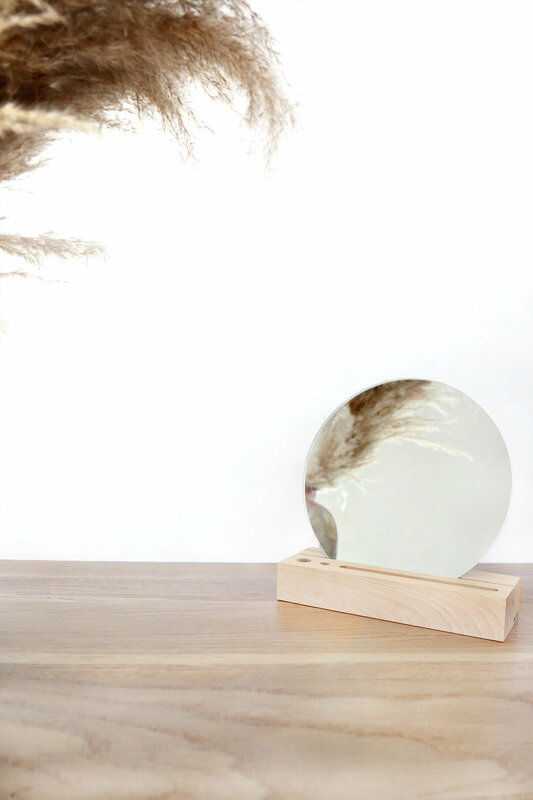 Modern and minimal, add this set to your bedroom or even ideal as a gift. 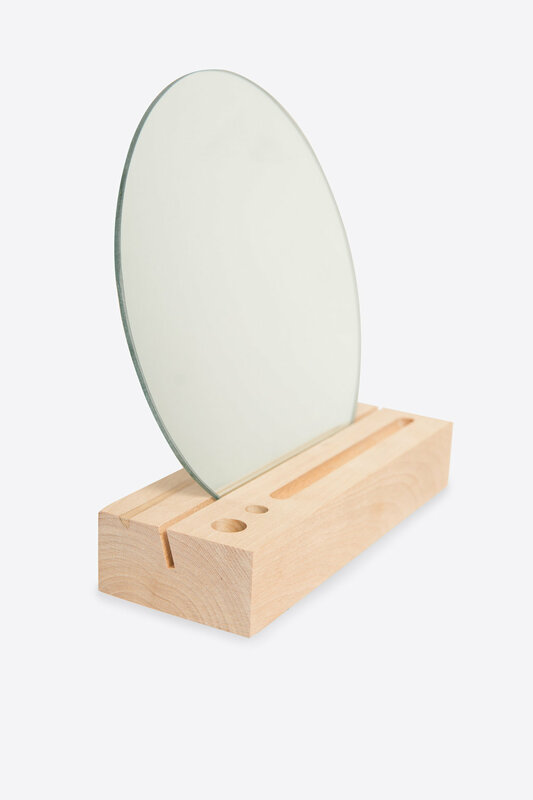 Care Instructions: Wipe clean - do not use soap.